My Lauriel cardigan is finally finished. 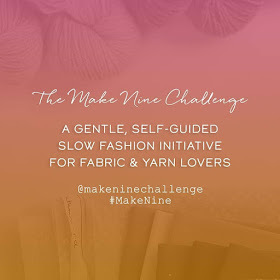 It only took six months - accordingly to Ravelry I cast it on on 25th June! Eek!! I am very pleased with it though. I used just over 2 balls of Sirdar Country Style DK, the colour is 0610 which is dark green. A lot of comments on Ravelry said that this pattern could turn out a bit big, and I found that too. The pattern suggests 3.75mm needles for the tension of 5.5 sts per inch, but I used 3mm, and went with size 32 inches. I absolutely love how the pattern is written, it's so well thought out. It's a top-down cardigan with raglan sleeves, and the first thing is do is the pretty leaf design at the collar which has increases incorporated within it. The pattern is written out and charted; I used the chart, which was a breeze to follow. Once this is finished, the next part is shaped with short-row shaping to make the front neck lower than the back neck. This is such a clever idea, and the instructions on the pattern are great. You then continue with the raglan increases for the sleeves until the underarms. This was where I went a bit "off-pattern". I found the width across the back was fine about 1 1/2 inches above the underarm, so just worked to the underarm, but without doing the increases. Next you just keep going until the length reaches just under the bust. There are instructions in the pattern to add short-row shaping if necessary within this section, which I did. I talked about it in more depth in this post. The shaping under the bust is done by simple K2TOG/SSK. 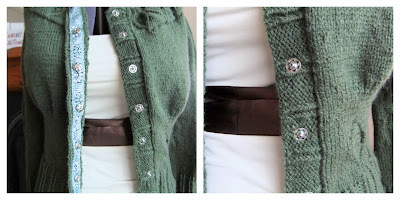 The midriff section includes a leaf design on the left side, and the ribbing uses knitting through the back loop to make the knit stitches stand out. The button bands instructions say to pick up and knit 2 sts for every 3 rows, and then increase/decrease so the stitch count is a multiple of 6 +5. I always find getting the right number of stitches on bands to be a bit tricky, and I think it took me about 4 or 5 goes to get it right. And then I had to rip it out because I lost the ability to read the pattern properly! Thankfully the second band was a bit easier. The sleeves turned out to be a bit tricky too, but this was because I didn't have the same number of stitches as on the pattern because I hadn't done the raglan increases right down to the underarm. This meant I had to work out the decreases myself, which was a nightmare because I'm rubbish at maths. The first sleeve got ripped out four times, and it was all because of my terrible maths! I was getting very frustrated with it, but I got there in the end, and the second sleeve was dead easy. The sleeves also have the leaf design, and the same ribbing as on the body. The button bands don't have any buttonholes, instead you sew on some petersham or grossgrain ribbon, and some snaps. The buttons on the front are for decoration. 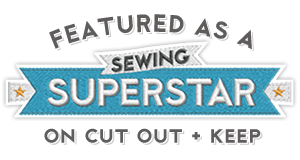 I got my buttons, snaps and ribbon in Sew N Sew in Belfast. I wore it on Christmas Day along with my New Look 6723 dress. I had a lovely Christmas, and Santa brought me some great crafty goodies! I got Colette Patterns Peony and Rooibos dress patterns, a trouser fitting book called "Pants For Real People", a 2m long folding wooden ruler, and a roll of Cath Kidston cotton ribbon. I hope everybody had a lovely Christmas too, and that Santa was a good to you! You look fabulous in that cardigan, the fit looks perfect. Well done for persisting with it. I'm currently trying work on a cardigan I've had on the needles since April!! Happy New Year to you! Oh my that cardi looks gorgeous. I like the colour, it looks like a sage green, very nice.The perfect complement to your beautifully made dress. Oh wow! Gorgeous! Love the fit and the colour - great job! Perfectly matches the dress (which is also gorgeous!). Definitely worth the six month's work! Both dress and cardigan are gorgeous and so flattering :) I recently finished a jumper I have been working on for way I over 6 months - unfortunately it's a bit short so I'm a but stuck now...not sure if I can do anything to recover it but I plan to investigate. 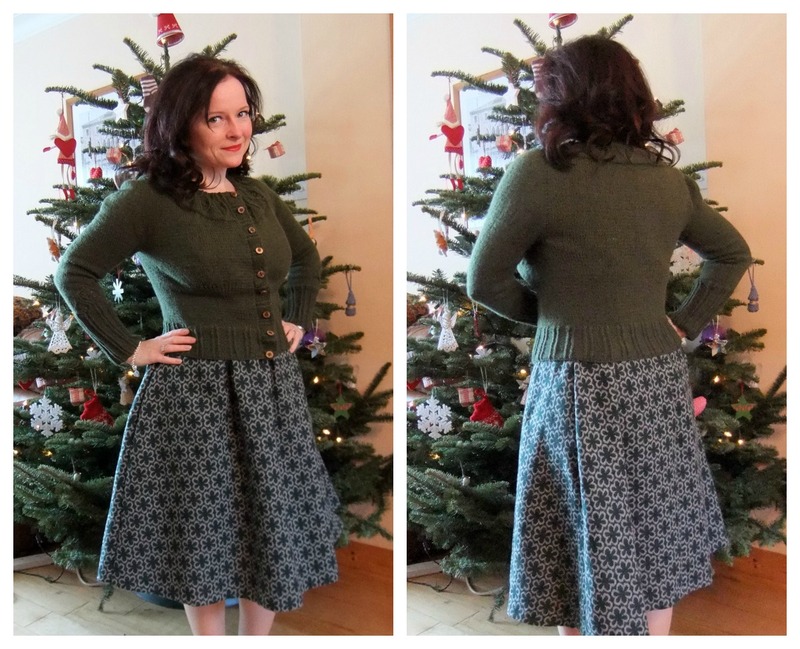 What a gorgeous flattering cardi - I'm so impressed with your knitting skills! Hope you had a lovely Christmas and New Years Lynne!